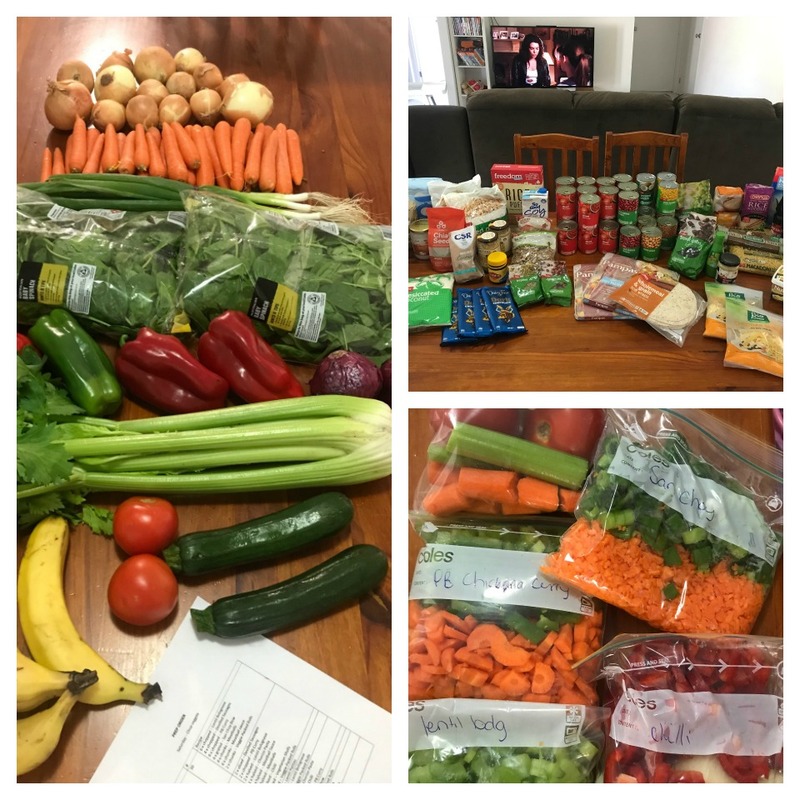 With swollen ankles and at 37 weeks pregnant, mum-of-three Jessica May Magill has been meal prepping like a BOSS! Proving if she can do it, anyone can. 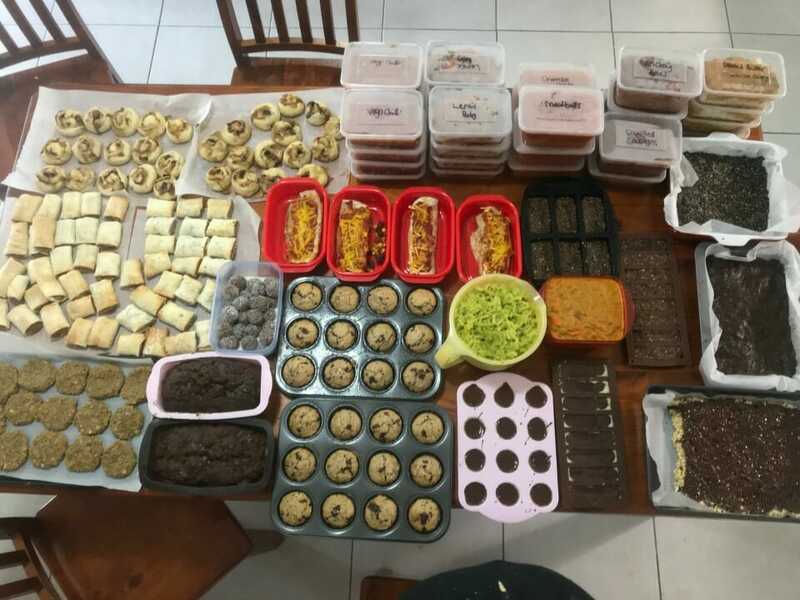 She has made a WHOPPING 152 serves of dinner/lunch and 228 snacks so that her whole family can maintain their healthy eating lifestyle throughout those sleep-deprived early days of a new baby. WOW! Prepared to be blown away with what she has made. Jessica May McGill understands the benefits of The Healthy Mummy program. 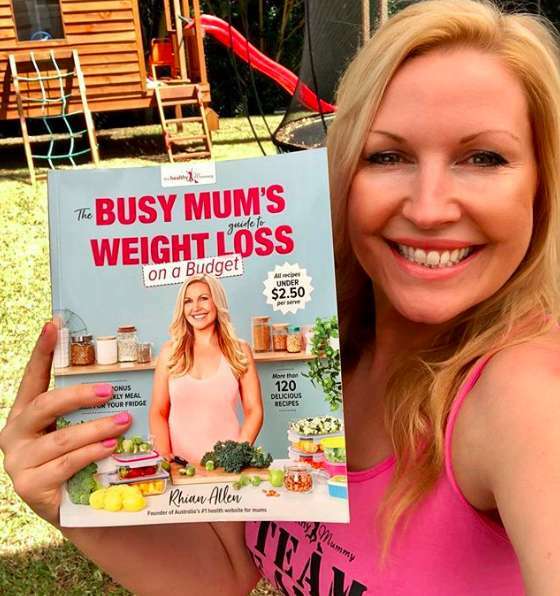 Having joined The Healthy Mummy 28 Day Weight Loss Challenges shortly after having her second baby she was able to lose 20kg and completely transform her lifestyle. 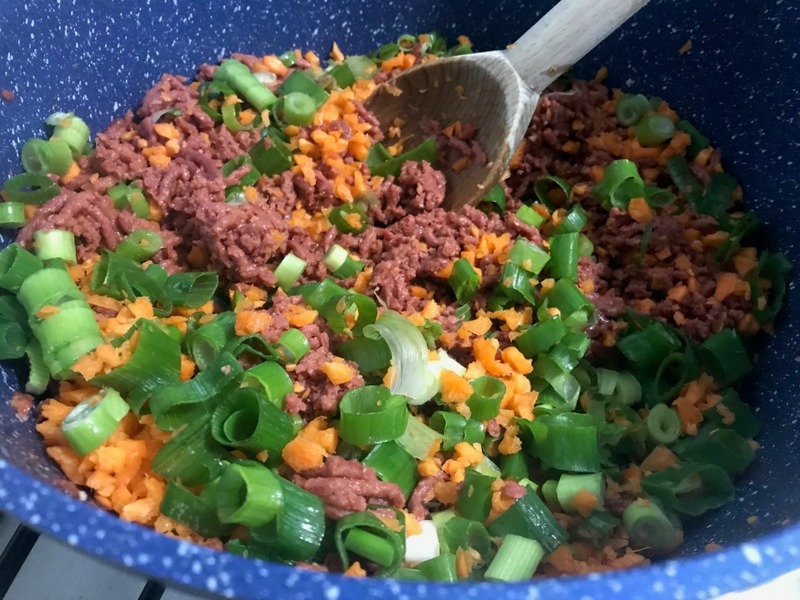 We are in awe of Jessica’s commitment to living a Healthy Mummy lifestyle and are AMAZED by all the delicious meals she has prepared. She understands all too well that when are you in the fog of exhaustion and sleep deprivation with a new baby, it is all too easy to slip into bad habits of takeaway and junk food. 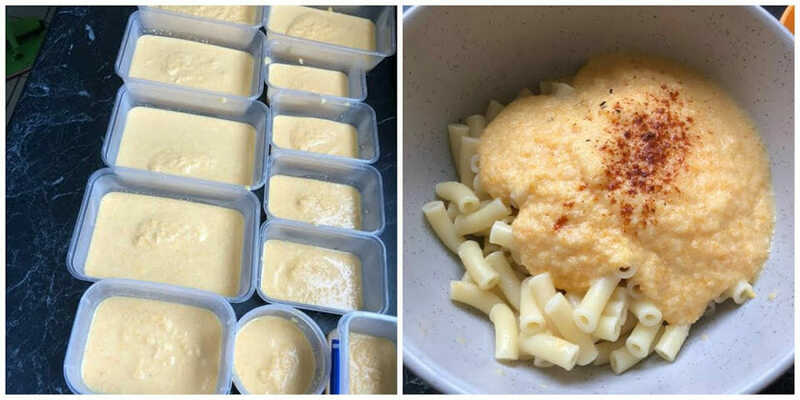 Determined to maintain her Healthy Mummy lifestyle before and after the baby arrives she has meal prepped a huge amount of healthy and nutritious meals and snacks for her family. Jessica says “I am almost 37 weeks with my fourth bubba and my eldest is only 4, so life is about to get (even more) crazy! 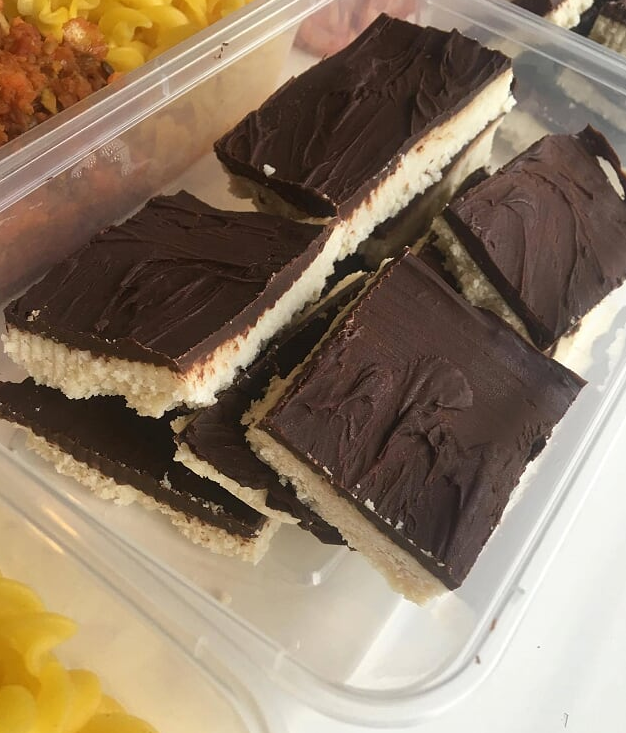 “Everything I made was vegan (except for kids scrolls) and lots are nut free for preschool lunch boxes, showing you can eat yummy food with allergies or food preferences thanks to the amazing Healthy Mummy 28 Day Weight Loss Challenge recipe hub and filters. All up I made 152 serves of dinner/lunch and 228 snacks! I know I will be starving while breastfeeding and my kids are massive snackers, so now I can relax and know we all have healthy options sorted”. San Choy Bow x 12 serves (used funky fields mince). Get the recipe. 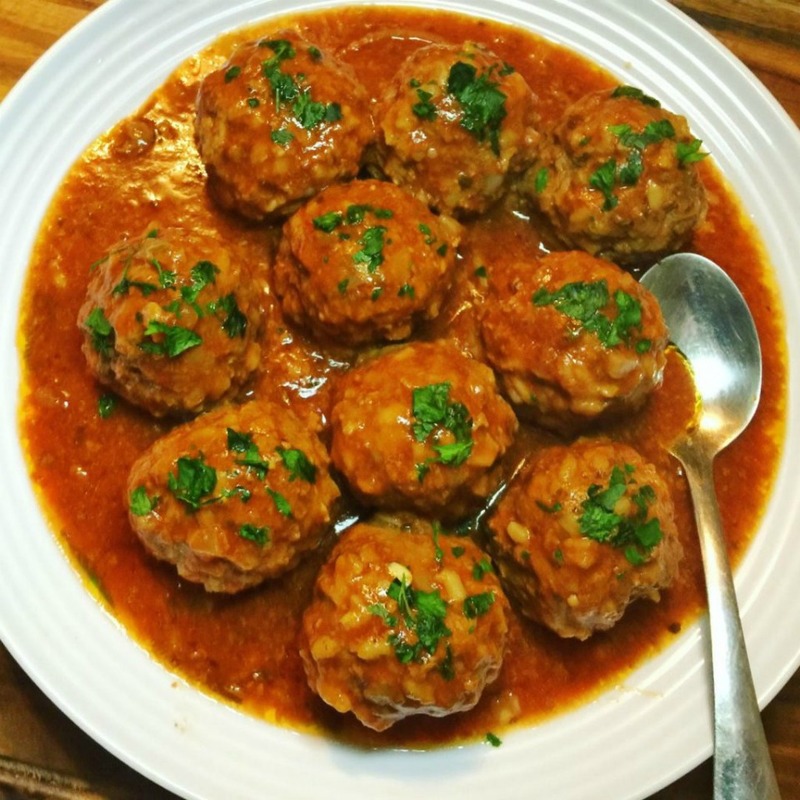 Meatballs x 12 serves (Jessica used funky fields mince). Recipe available to 28 Day Weight Loss Challenge members. Lentil Patties x 8 serves Recipe available to 28 Day Weight Loss Challenge members. 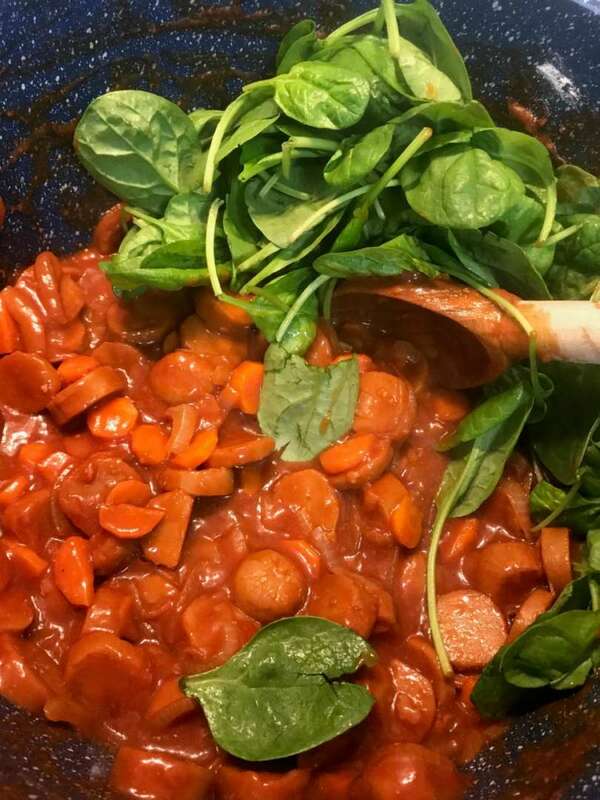 Devilled Sausages x 8 serves (she used Aldi vegan sausages). Get the recipe. Chorizo Pasta x 8 serves (used Veggie Delights Smoked Chipotles). Recipe available to 28 Day Weight Loss Challenge members. 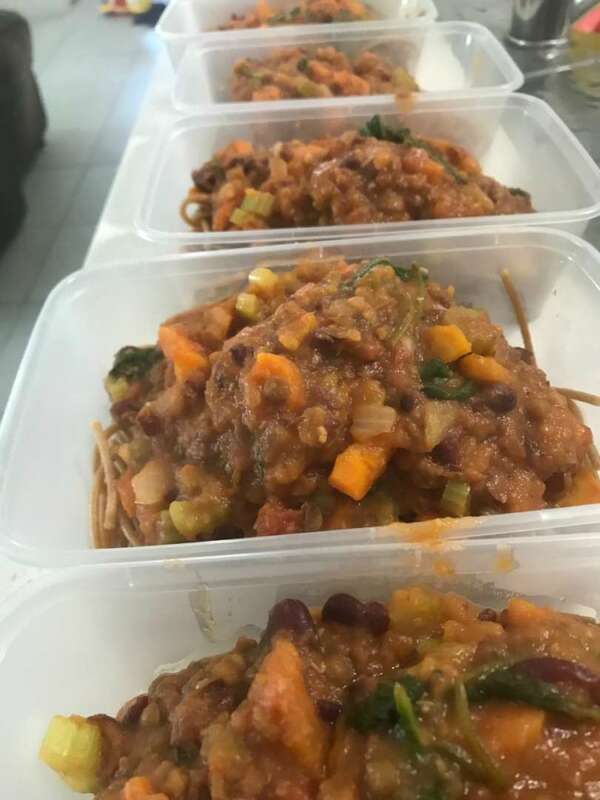 Lentil Bolognese x 8 serves. Recipe available to 28 Day Weight Loss Challenge members. Vegetarian Chilli x 8 serves. Get the recipe. Bean and Corn Enchiladas x 4 serves. Recipe available to 28 Day Weight Loss Challenge members. 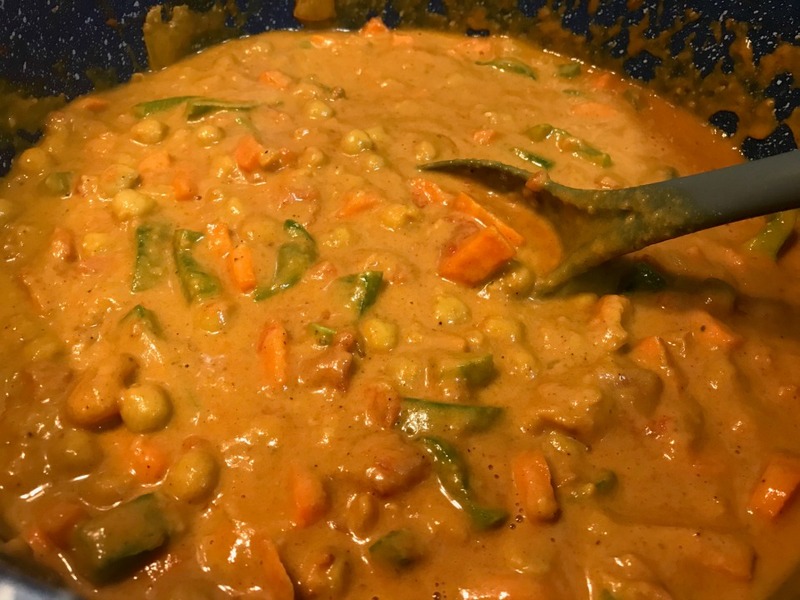 Peanut Butter Chicken Curry x 8 serves (used chickpeas and added vegetables). Recipe available to 28 Day Weight Loss Challenge members. ‘Hulk’ Mac and Cheese x 24 (kids) serves. Recipe available to 28 Day Weight Loss Challenge members. 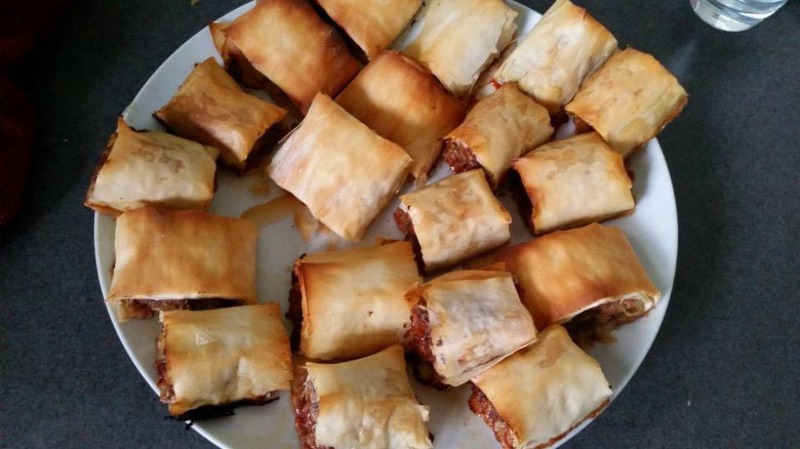 Vegetarian Sausage rolls x 24. Recipe available to 28 Day Weight Loss Challenge members. 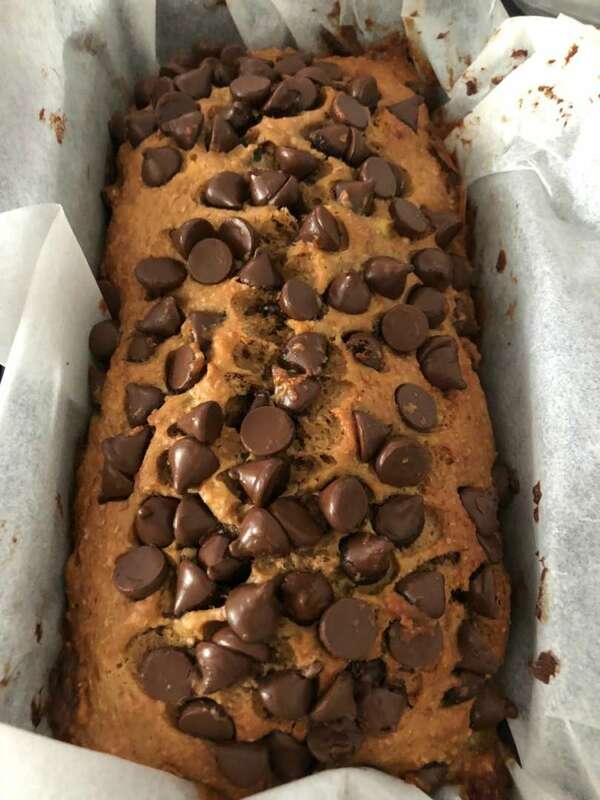 Choc Chip Banana Bread x 32 serves. Recipe available to 28 Day Weight Loss Challenge members. Peanut Bubble Crunch x 18 serves. Get the recipe. 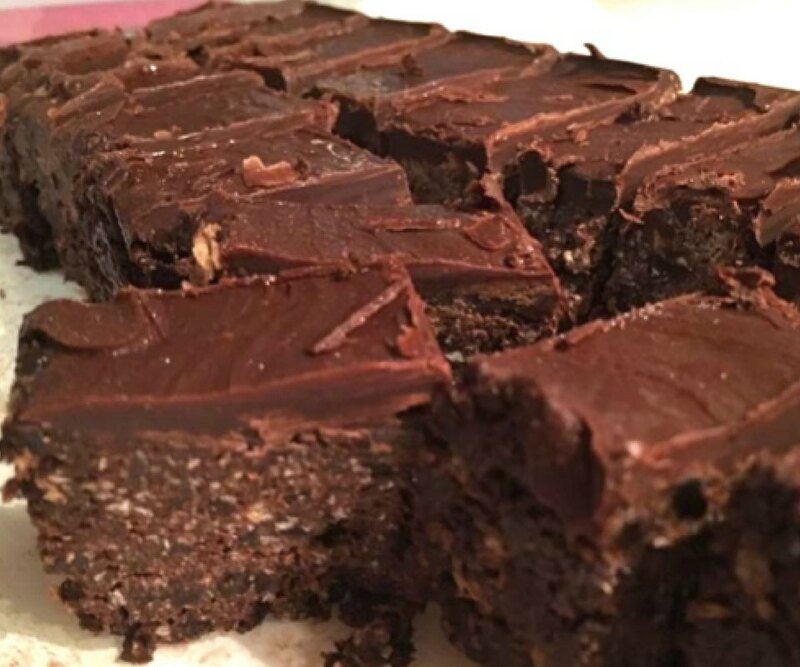 5 Ingredient Choc Chip Fudge x 12 serves. Get the recipe. Bounty Bites x 20 serves. Get the recipe. 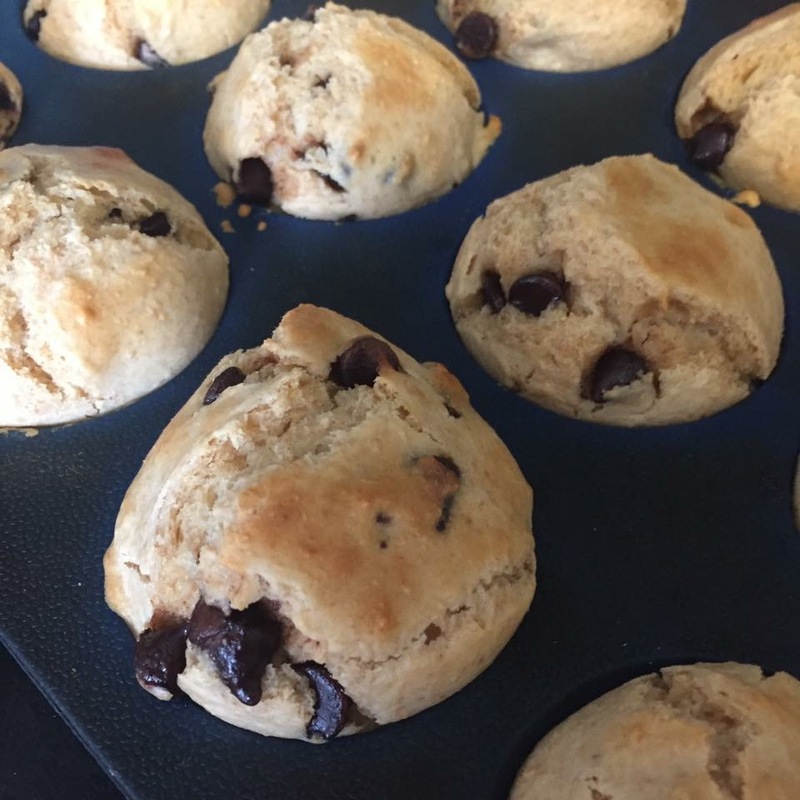 Wholemeal Choc Chip Muffins x 24 serves. Get the recipe. 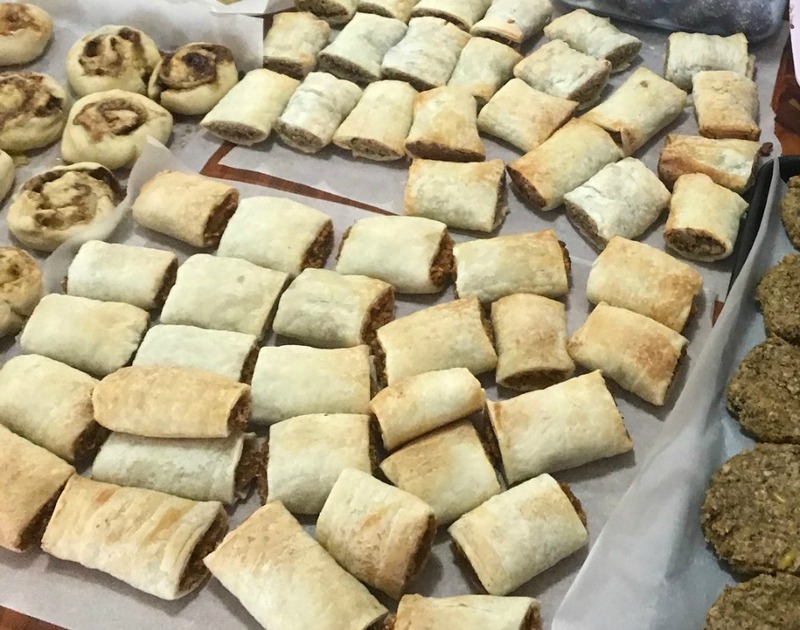 Vegemite Scrolls x 32 serves. Recipe available to 28 Day Weight Loss Challenge members. 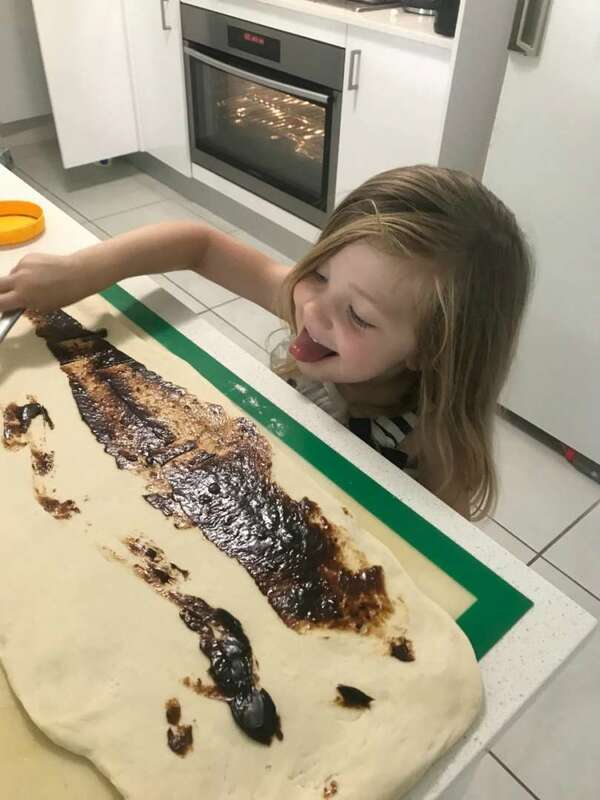 Jessica’s 3-year-old daughter enjoyed helping to make the vegemite scrolls. 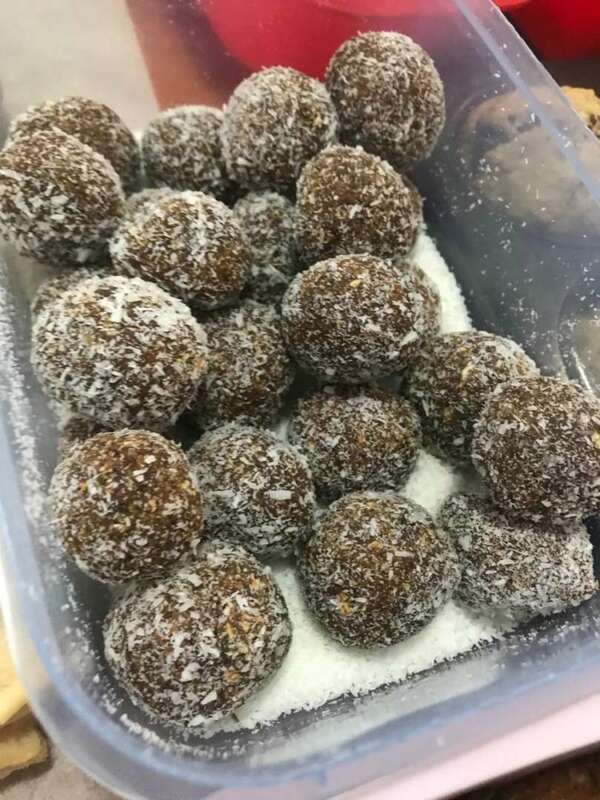 Salted Caramel Bliss Balls x 24 serves. Get the recipe. 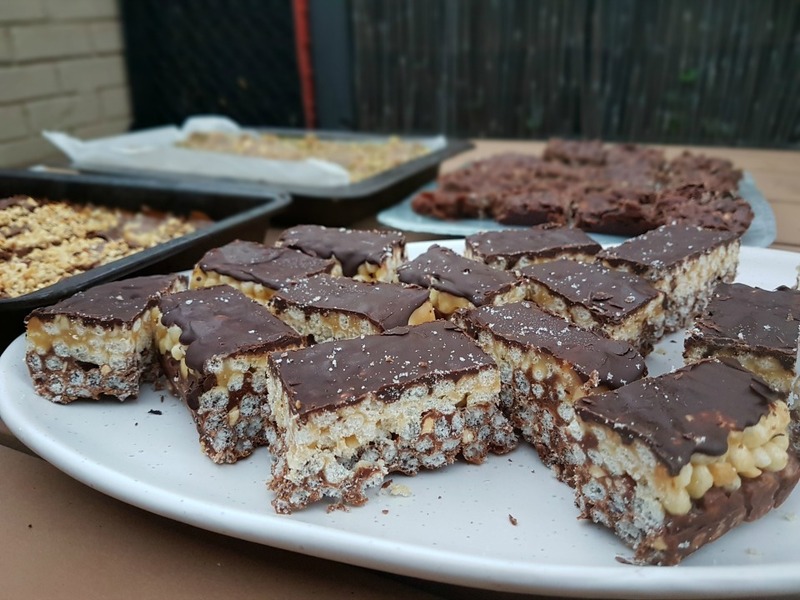 Chewy Choc Muesli Bars x 24 serves. Get the recipe. 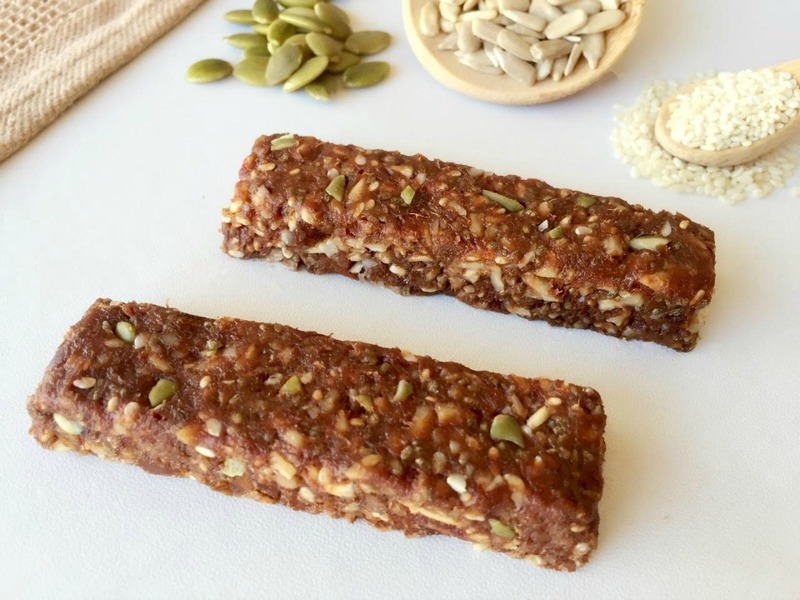 Seeded Chocolate Bars x 18. Get the recipe. Weetbix Slice x 24 serves. Get the recipe. 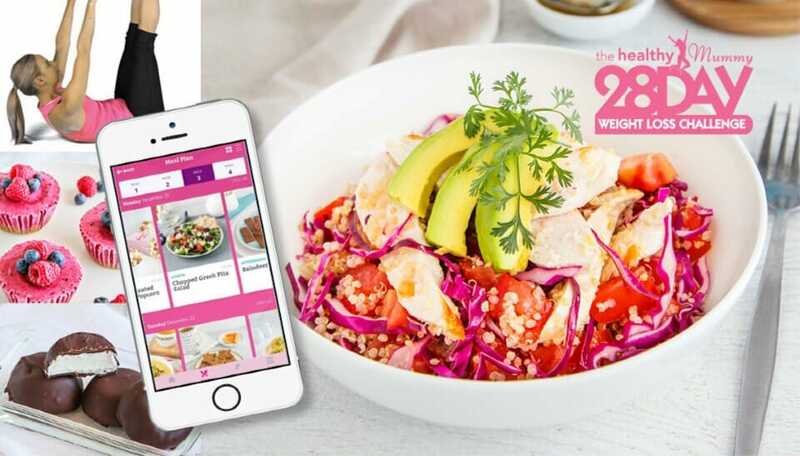 While Jessica does not restrict her calories while pregnant she has taken advantage of being a Healthy Mummy Challenge member by simply following recipes in the 28 Day Weight Loss Challenge hub and eating the recommended calories per day to maintain a healthy pregnancy. “This body’s grown three healthy huge bubbas in less than four years, so how could I not love it?! 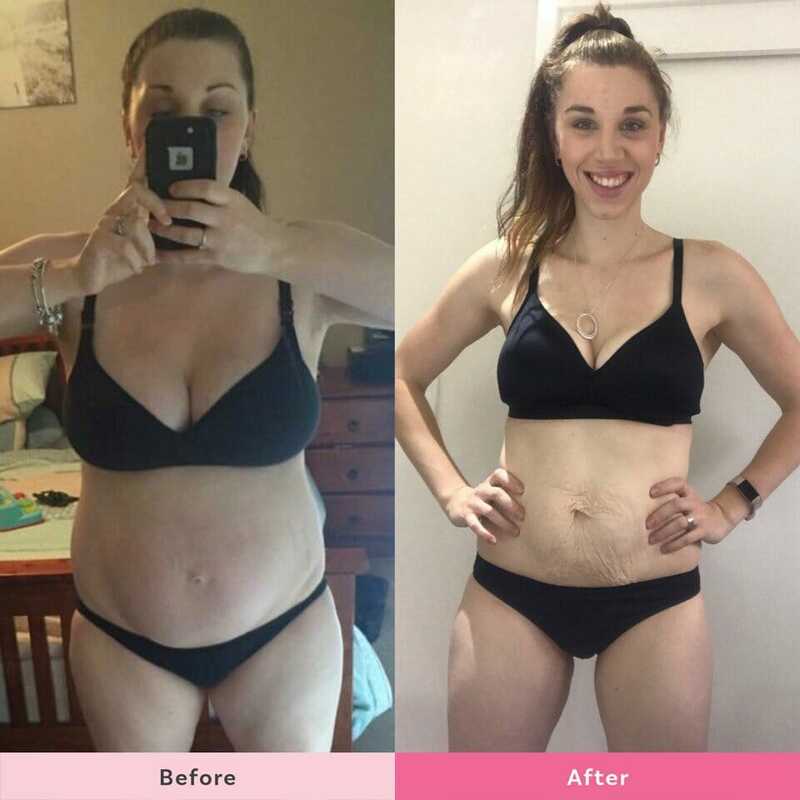 Thanks to The Healthy Mummy I’m healthier and happier than ever,” says Jessica. 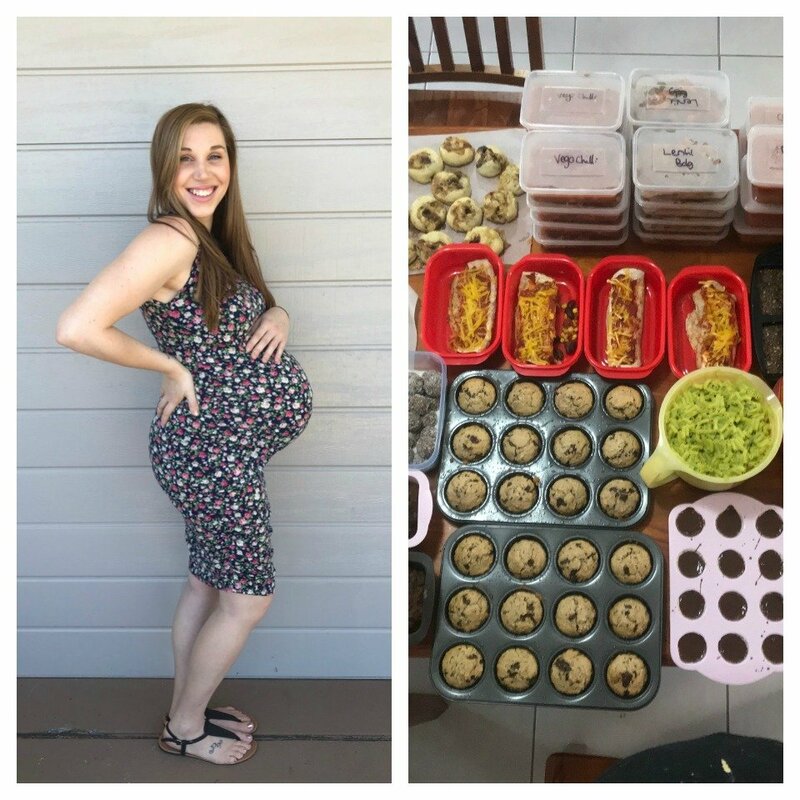 The Healthy Mummy would like to congratulate Jessica for this epic meal prep while pregnant. We are thrilled that she will be able to put her feet up and enjoy those blissful, early days with her baby without having to even think about cooking. If you want to make your meal prep skills even better, then grab a copy of our NEW cookbook out in ALL STORES RIGHT NOW and is currently the number 2 best selling lifestyle book in Australia! !